A greeting card with a lasting sentiment. Our delicately designed A6 size card features a print taken from an original pen and ink drawing by artist Joel Mercer and contains a packet of Wildflower seeds. Once grown, these seeds will help protect Britain's native wildlife. On the reverse of the card the recipient will find instructions on how to grow their seeds. Our traditional designs reflect an era of craftmanship and the quality of this greeting is evident from its thick textured cream card to its ribbed manilla envelope. 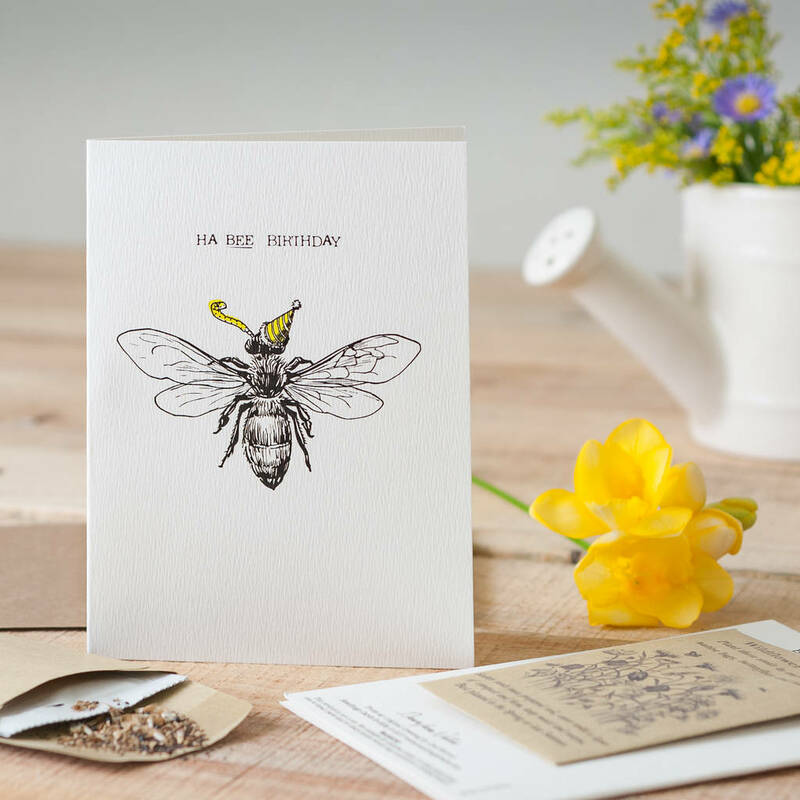 This card is that little bit of 'special' required for the perfect card and gift in one.